We know how important your property is to you. That’s why we are responsive, reliable, provide impeccable craftsmanship coupled with clear concise communication. We have years of experience working with both commercial & domestic clients, providing a comprehensive range of different products and services throughout the North East of Scotland. Our philosophy is, there is no job too big or small, we’re here for all your plumbing needs! Its crucial that you have your boiler serviced once a year, at the minimum, so any faults can be identified and resolved. An annual service will ensure that your boiler is safe, fuel consumption is efficient and ensure you maintain your manufacturer’s warranty. When you book your boiler service with us, we will arrange a convenient time for you so that our engineer can visit your home. They will thoroughly inspect your boiler, your controls will be tested, along with the pressure, safety devices, flues and surrounding pipework. Once the inspection is complete, our engineer will fully explain his findings, identify any required work and give you peace of mind that your boiler is in safe hands with us. Whether you are looking for a Combi, System or Conventional boiler, we have the skills and experience to supply and install a boiler that is suitable for your requirements. Our technicians are multi skilled and have experience of working throughout many different environments, ensuring that whatever your plumbing challenge, you can be assured we can assist. Whether it’s a new commercial or domestic bathroom or kitchen. We have the experience and expertise to fully design, manage and install your new project to the highest standard. We have extensive experience in designing and managing plumbing installations. Whether it’s a traditional kitchen or a contemporary bathroom or commercial kitchen install that’s required, we are here for all your plumbing needs! 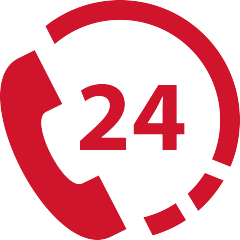 We provide 24 hours emergency call out for both domestic and commercial clients throughout the Fraserburgh, Peterhead and the surrounding areas. Please call us on 07772349058 to reach our on call technician.